Over the many months and years of maintaining this blog, we’ve written a lot about the Maserati Ghibli. This time around, we decided to do something a bit different and let you see this unrivaled thrill-ride in action. We’ve searched far and wide across the internet to find a few of the most informative video overviews and reviews of the 2019 Maserati Ghibli, so without further ado, check them out below. Ready to experience the unrivaled thrill-ride of the 2019 Maserati Ghibli for yourself? 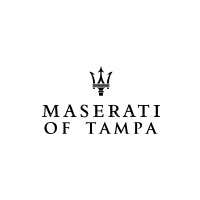 Head over to Maserati of Tampa today, and test drive yours. We have the largest inventory in the region, allowing you to check out all the various trims and find the ideal feature and color package for you.